Special Report: What Have Special Operations Done in Recent Wars? From Afghanistan to Somalia, What is the impact of Special Operations in the current war? At around 11:00 that night, four Lockheed MC-130 Combat Talons, turboprop special operations aircraft, were flying through a moonless sky from Pakistani into Afghan air space. On board were 199 U.S. Army Rangers with orders to seize an airstrip. One hundred miles to the northeast, Chinook and Black Hawk helicopters cruised through the darkness toward Kandahar, carrying Army Delta Force operators and yet more Rangers, heading for a second site. It was Oct. 19, 2001. The war in Afghanistan had just begun and U.S. Special Operations Forces were the tip of the American spear. 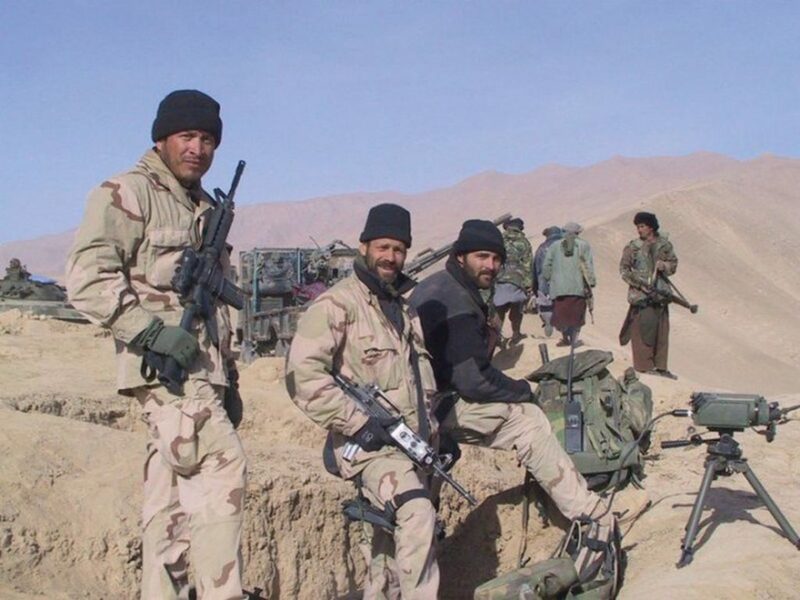 After more than 16 years of combat, U.S. Special Operations forces remain the tip of the spear in Afghanistan, where they continue to carry out counterterrorism missions. In fact, from June 1st to Nov. 24, 2017, according to that Pentagon report, members of Special Operations Joint Task Force-Afghanistan conducted 2,175 ground operations “in which they enabled or advised” Afghan commandos. “During the Obama administration the use of Special Operations forces increased dramatically, as if their use was a sort of magical, all-purpose solution for fighting terrorism,” William Hartung, the director of the Arms and Security Project at the Center for International Policy, pointed out. Since U.S. commandos went to war in 2001, the size of Special Operations Command has doubled from about 33,000 personnel to 70,000 today. As their numbers have grown, so has their global reach. As TomDispatch revealed, they were deployed to 149 nations in 2017, or around 75 percent of the countries on the planet, a record-setting year. It topped 2016’s 138 nations under the Obama administration and dwarfed the numbers from the final years of the Bush administration. As the scope of deployments has expanded, special operators also came to be spread ever more equally across the planet. In October 2001, Afghanistan was the sole focus of commando combat missions. On March 19, 2003, special operators fired the first shots in the invasion of Iraq as their helicopter teams attacked Iraqi border posts near Jordan and Saudi Arabia. By 2006, as the war in Afghanistan ground on and the conflict in Iraq continued to morph into a raging set of insurgencies, 85 percent of U.S. commandos were being deployed to the Greater Middle East. As this decade dawned in 2010, the numbers hadn’t changed appreciably. 81 percent of all special operators abroad were still in that region. Eight years later, however, the situation is markedly different, according to figures provided to TomDispatch by Special Operations Command. Despite claims that the Islamic State has been defeated, the United States remains embroiled in wars in Iraq and Syria, as well as in Afghanistan and Yemen, yet only 54 percent of special operators deployed overseas were sent to the Greater Middle East in 2017. In fact, since 2006, deployments have been on the rise across the rest of the world. In Latin America, the figure crept up from three percent to 4.39 percent. In the Pacific region, from seven percent to 7.99 percent. But the striking increases have been in Europe and Africa. In 2006, just three percent of all commandos deployed overseas were operating in Europe. Last year, that number was just north of 16 percent. “Outside of Russia and Belarus we train with virtually every country in Europe either bilaterally or through various multinational events,” Maj. Michael Weisman, a spokesman for Special Operations Command Europe, told TomDispatch. Africa, however, has seen the most significant increase in special ops deployments. In 2006, the figure for that continent was just one percent. As 2017 ended, it stood at 16.61 percent. In other words, more commandos are operating there than in any region except the Middle East. As I recently reported at Vice, Special Operations forces were active in at least 33 nations across that continent last year. Similarly, when questioned about connections between Osama bin Laden’s core Al-Qaeda group and African extremists, he offered only the most tenuous links, such as Bin Laden’s “salute” to Somali militants who killed U.S. troops during the infamous 1993 Black Hawk Down incident. Nonetheless, U.S. commandos reportedly began operating in Somalia in 2001, air attacks by AC-130 gunships followed in 2007, and 2011 saw the beginning of U.S. drone strikes aimed at militants from Al Shabab, a terror group that didn’t even exist until 2006. According to figures compiled by the Bureau of Investigative Journalism, the United States carried out between 32 and 36 drone strikes and at least nine to 13 ground attacks in Somalia between 2001 and 2016. Last spring, Pres. Donald Trump loosened Obama-era restrictions on offensive operations in that country. Allowing U.S. forces more discretion in conducting missions there, he opened up the possibility of more frequent airstrikes and commando raids. The 2017 numbers reflect just that. The United States carried out 34 drone strikes, at least equaling if not exceeding the cumulative number of attacks over the previous 15 years. And it took the United States only a day to resume such strikes in 2018. “President Trump’s decision to make parts of southern Somalia an ‘area of active hostilities’ gave [U.S. Africa Command or AFRICOM] the leeway to carry out strikes at an increased rate because it no longer had to run their proposed operations through the White House national security bureaucratic process,” said Jack Serle, an expert on U.S. counterterrorism operations in Somalia. He was quick to point out that AFRICOM claims the uptick in operations is due to more targets presenting themselves, but he suspects that AFRICOM may be attempting to cripple al-Shabaab before an African Union peacekeeping force is withdrawn and Somalia’s untested military is left to fight the militants without thousands of additional African troops. In addition to the 30-plus airstrikes in 2017, there were at least three U.S. ground attacks. In one of the latter, described by AFRICOM as “an advise-and-assist operation alongside members of the Somali National Army,” Navy SEAL Kyle Milliken was killed and two U.S. personnel were injured during a firefight with Al-Shabab militants. In another ground operation in August, according to an investigation by The Daily Beast, Special Operations forces took part in a massacre of 10 Somali civilians. The U.S. military is now investigating. 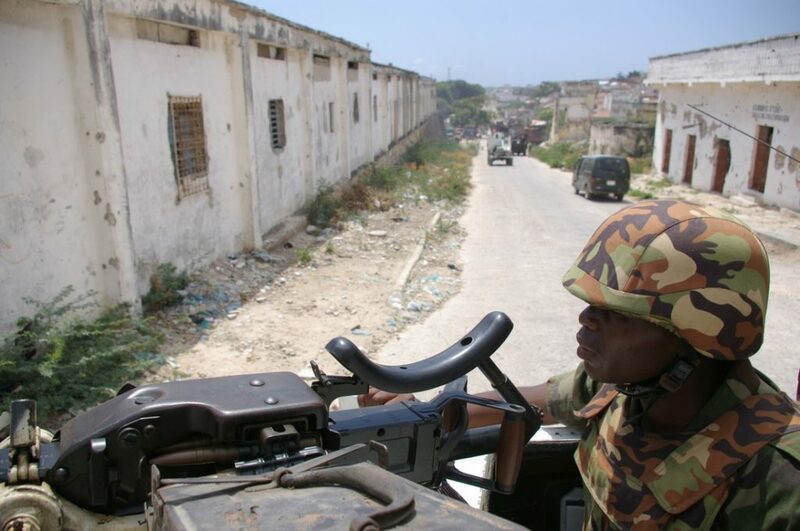 As in Afghanistan, the United States has been militarily engaged in Somalia since 2001 and, as in Afghanistan, despite more than a decade and a half of operations, the number of militant groups being targeted has only increased. U.S. commandos are now battling at least two terror groups — Al Shabab and a local Islamic State affiliate — as drone strikes spiked in the last year and Somalia became an ever-hotter war zone. “The under-reported, 16-year U.S. intervention in Somalia has followed a similar pattern to the larger U.S. war in Afghanistan: an influx of special forces and a steady increase in air strikes has not only failed to stop terrorism, but both Al Shabab and a local affiliate of ISIS have grown during this time period,” said William Hartung of the Center for International Policy. Somalia is no anomaly. Across the continent, despite escalating operations by commandos as well as conventional American forces and their local allies and proxies, Washington’s enemies continue to proliferate. As Vice reported, a 2012 Special Operations Command strategic planning document listed five prime terror groups on the continent. The Pentagon’s Africa Center for Strategic Studies now offers a tally of 21 “active militant Islamist groups” on the continent. In fact, as reported at The Intercept, the full number of terrorist organizations and other “illicit groups” may already have been closer to 50 by 2015. As wars and interventions have multiplied, as U.S. commandos have spread across the planet, and as terror groups have proliferated, the tempo of operations has jumped dramatically. This, in turn, has raised fears among think-tank experts, special ops supporters and members of Congress about the effects on those elite troops of such constant deployments and growing pressure for more of them. “Most SOF units are employed to their sustainable limit,” Thomas told members of Congress last spring. “Despite growing demand for SOF, we must prioritize the sourcing of these demands as we face a rapidly changing security environment.” Yet the number of countries with special ops deployments hit a new record last year. They were indeed the ones who carried out the bulk of the fighting and dying during the campaign against the Islamic State and the capture of its capital, Raqqa. However, that campaign, which took back almost all the territory ISIS held in Syria, was exceptional. U.S. proxies elsewhere have fared far worse in recent years. That 50,000-strong Syrian surrogate army had to be raised, in fact, after the U.S.-trained Iraqi army, built during the 2003-to-2011 American occupation of that country, collapsed in the face of relatively small numbers of Islamic State militants in 2014. In Mali, Burkina Faso, Egypt, Honduras and elsewhere, U.S.-trained officers have carried out coups, overthrowing their respective governments. Meanwhile in Afghanistan, where special ops forces have been working with local allies for more than 15 years, even elite security forces are still largely incapable of operating on their own. According to the Pentagon’s 2017 semi-annual report to Congress, Afghan commandos needed U.S. support for an overwhelming number of their missions, independently carrying out only 17 percent of their 2,628 operations between June 1, 2017, and Nove. 24, 2017. Indeed, with Special Operations Forces acting, in the words of SOCOM’s Thomas, as “the main effort, or major supporting effort for U.S. [violent extremist organization]-focused operations in Afghanistan, Syria, Iraq, Yemen, Somalia, Libya, across the Sahel of Africa, The Philippines and Central/South America,” it’s unlikely that foreign proxies or conventional American forces will shoulder enough of the load to relieve the strain on the commandos. Bulking up Special Operations Command is not, however, a solution, according to Hartung. “There is no persuasive security rationale for having U.S. Special Operations forces involved in an astonishing 149 countries, given that the results of these missions are just as likely to provoke greater conflict as they are to reduce it, in large part because a U.S. military presence is too often used as a recruiting tool by local terrorist organizations,” he said. Nick Turse is the managing editor of TomDispatch, a fellow at the Nation Institute and a contributing writer for The Intercept. He recently covered ethnic cleansing by government forces in South Sudan for Harper’s Magazine and the Columbia Journalism Review. His latest book is Next Time They’ll Come to Count the Dead: War and Survival in South Sudan. His website is NickTurse.com. This story originally appeared at TomDispatch.